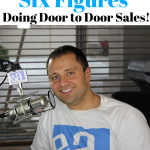 TSE 744: Sales From The Street-"Door-to-Door Selling"
Today’s guest is David Tabb. 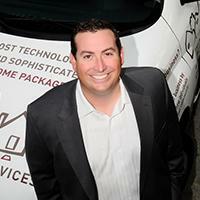 He is a franchise owner for Welcomemat Services, a marketing company that specializes in new mover mailing. He does door to door sales. And in his industry, this is what works effectively. In this episode, he’s sharing some insights which you can apply to you own process, no matter what industry you come from. Some businesses are not actively looking for business because they’re so busy operating their business they just want you to come to them. Keep a log next to you and have 2-3 hooks you can use and develop. Write them down and see what their responses look like. Creating lists will also create that accountability factor. Have your target list for that day. Having that list will allow you to get going. 3. Simplifying the process and being able to get to the decision makers. 4. Will they say yes? Of course, but you yourself has to see it. You have the data that you’re doing well so go out and talk the people. Open the door everyday as many times you can. Get through gatekeepers and decision makers. Just keep having conversations and you will get to a yes. That’s guaranteed! 5.Taking care of your body is critical. Make sure that you’re also taking care of your body. Do some walking. This will help your prepare and get that mind work. Walking gets your mind moving. Park at the end of the parking lot. Allow the person to help you get what you want and it’s a lot easier to get them to do it. This can be a game changer for you the way it did for David. Just be genuine about what you’re looking for. Track what you do and just keep working on it. It always changes. Every situation is a new opportunity. Don’t walk in with a set game plan for every situation because that probably won’t work. Be adaptable and track what you’re doing so you can find your rhythm, especially when you’re starting off. This will lead you to bigger and better deals and percentages across the board. Connect with David on www.welcomematservices.com or connect with him on Facebook Welcomemat Fort Lauderdale.